I had the delight of attending the 3rd annual Bad Taste Jumper Party last weekend. 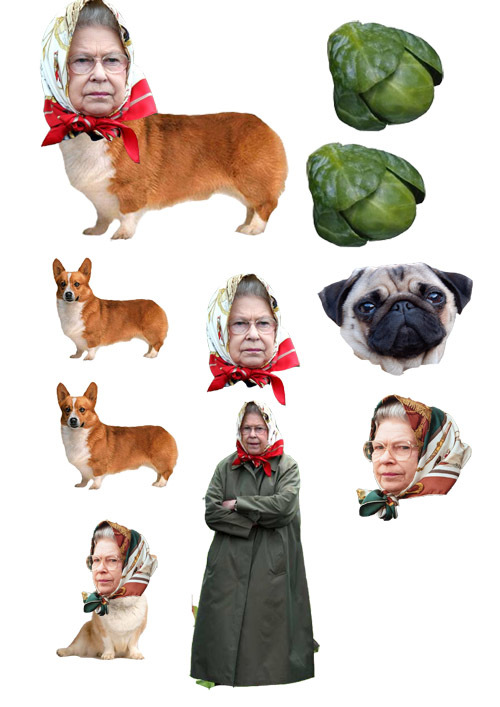 I used this crap image transfer paste to put pictures of the queen, the queen mother, dogs and sprouts onto a vile pink sweatshirt. It didn’t work, the pictures all went blurry, a last minute patch up job was me gluing the paper onto the jumper. Not good. But fun!